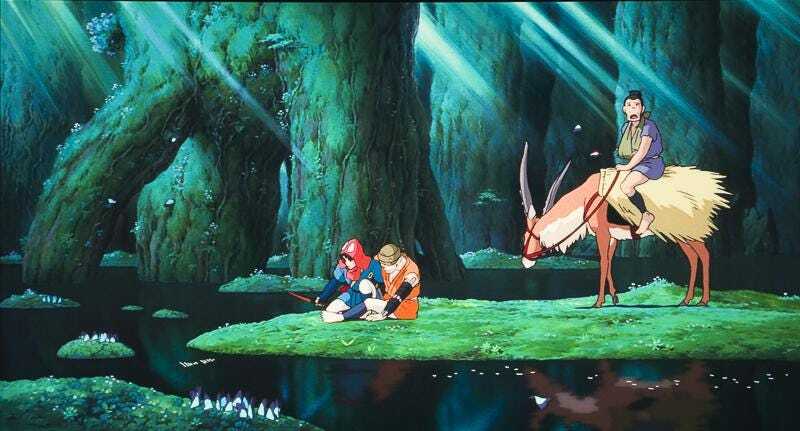 One of the most memorable, evocative features of Studio Ghibli films is their use of color. The woman responsible for that has passed away. She was 77. Michiyo Yasuda collaborated with Hayao Miyazaki and Isao Takahata long before they established Studio Ghibli, working on films like 1972's Panda! Go, Panda! and as a color designer on Miyazaki’s 1976 television series 3000 Leagues in Search of Mother. After doing Nausicaä of the Valley of the Wind at Topcraft, she headed up the color department at the then newly-formed Studio Ghibli. According to The Mainichi and Asahi News, Yasuda passed away on October 5 due to an illness. She retired in 2008, but returned to work on 2013's The Wind Rises, her last film. At the bottom of this old Japanese magazine scan, it says that staffers said she was “scarier than Miyazaki,” but adds that actually, she was an incredibly kind person. They sure can. And thanks to Yasuda, Studio Ghibli’s films are the better for it.